Parents will be among the first few to search for quotes about the kids growing up. We say this because we know that children grow up so fast suddenly and you are often left wondering where all that time has gone. When you read the following kids growing up quotes, you will be reminded that time passes quickly when you least expect it. Remembering your child’s first day in the kindergarten would seem like just days ago on the day they graduate from college. Many parents experience this, so it would be wise to cherish what little time you have with your children before they grow up and leave the house! If you have been thinking about how quickly your child is growing up, these quotes are for you! You can print them or share them with your friends and family. Perhaps, you might start up a conversation about your family members’ experience watching you grow up as well, and what a wonderful trip down memory lane that would be! Well, that’s for later. Meanwhile, do enjoy reading these quotes about kids growing up! 1. How amazing it is that children grow up in the blink of an eye. 2. 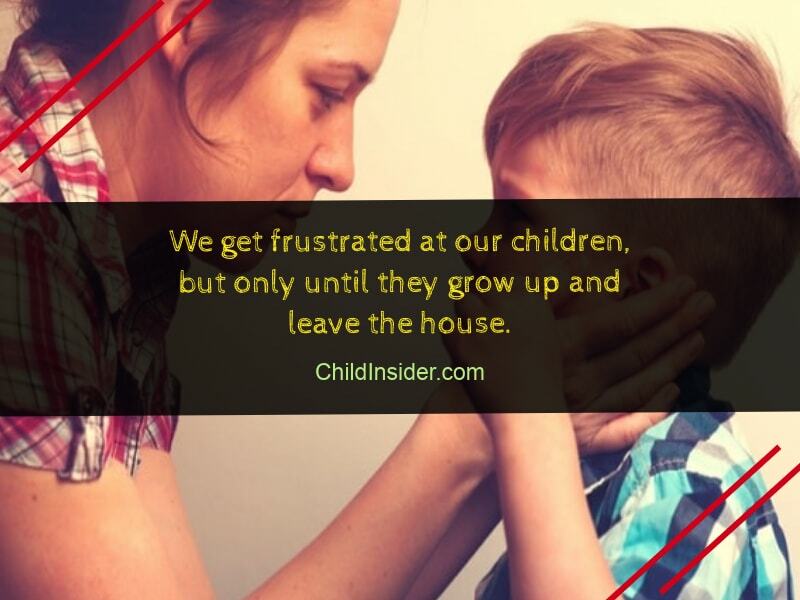 We get frustrated at our children, but only until they grow up and leave the house. 3. Being parents unsure if you are doing the right thing can be scary, so just always do your best. 4. I remember looking forward to my kids growing up so that I’d finally have some peace, but now it’s just too quiet around here. 5. I couldn’t stop my children from growing up so quickly, but I was present the entire time so that I did not miss them growing up. 6. You won’t understand why I dreaded seeing you grow up, but that’s alright. You will understand when you have your own children one day. 7. It doesn’t matter how grown up you get, because you will forever be my little baby to me. 8. 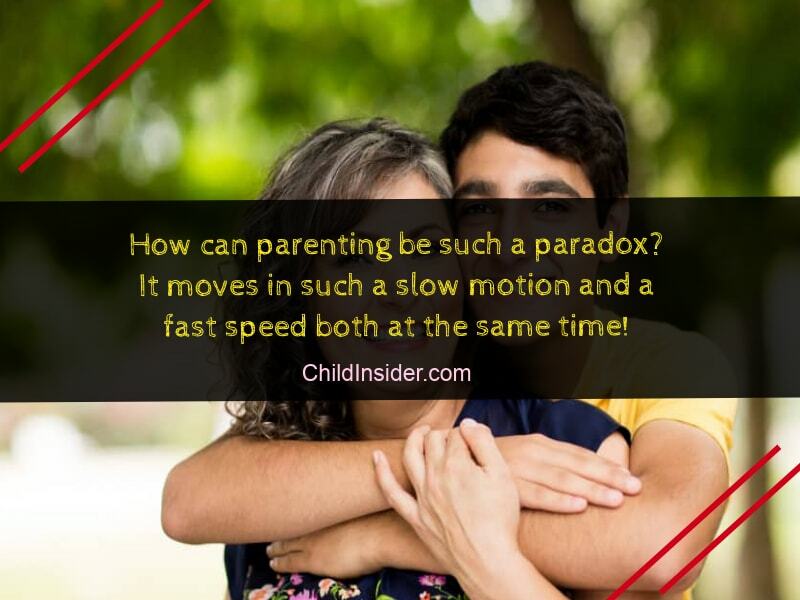 How can parenting be such a paradox? It moves in such a slow motion and a fast speed both at the same time! 9. Let your children live as children. They’re only that little for a short while! 10. Maybe we should focus on who our children are today instead of worrying so much about how they are going to turn out as adults. 11. 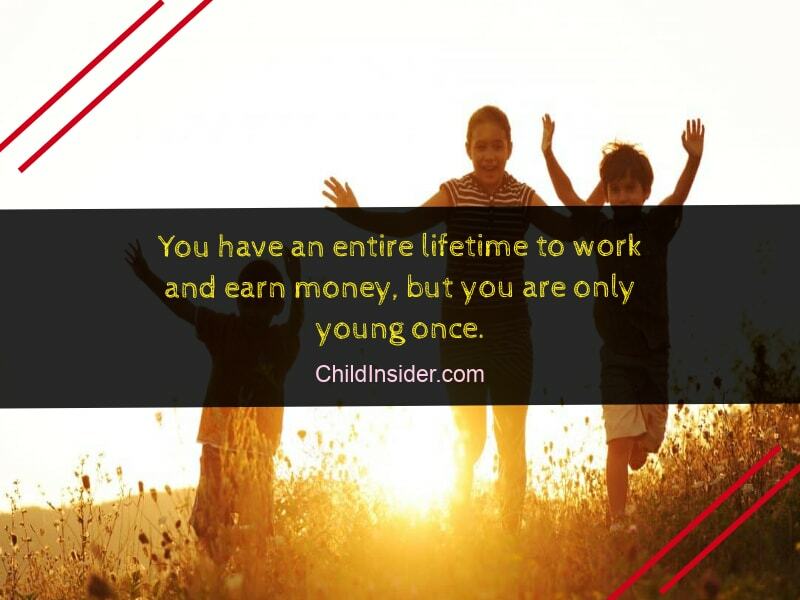 You have an entire lifetime to work and earn money, but you are only young once. 12. Children!!! They just can’t wait to grow up and stop going to school, can they? 13. How I wish that I can reverse time and play with my innocent children again. 14. Growing up happens so quickly. Childhood memories however, are there to stay. 15. 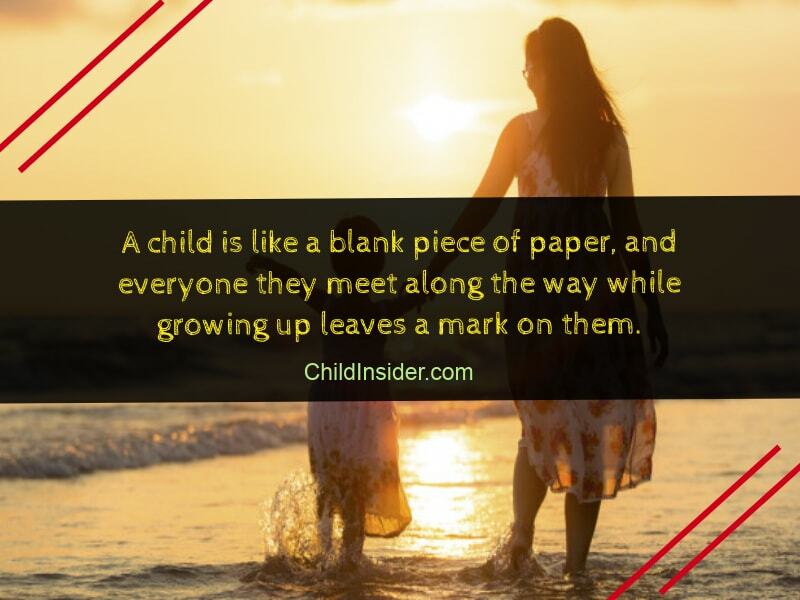 A child starts is like a blank piece of paper, and everyone that they meet along the way while growing up leaves a mark on them. 16. Treat your children as Angels, so they can be a better person when they are all grown up. Even for a child’s earlier days, it can be astounding – especially to new parents – how their gurgling 2-month-old infant learns to hold their head up, express their emotions, and start to speak and walk within the span of several months and turn into 2 years all in a sudden! 17. 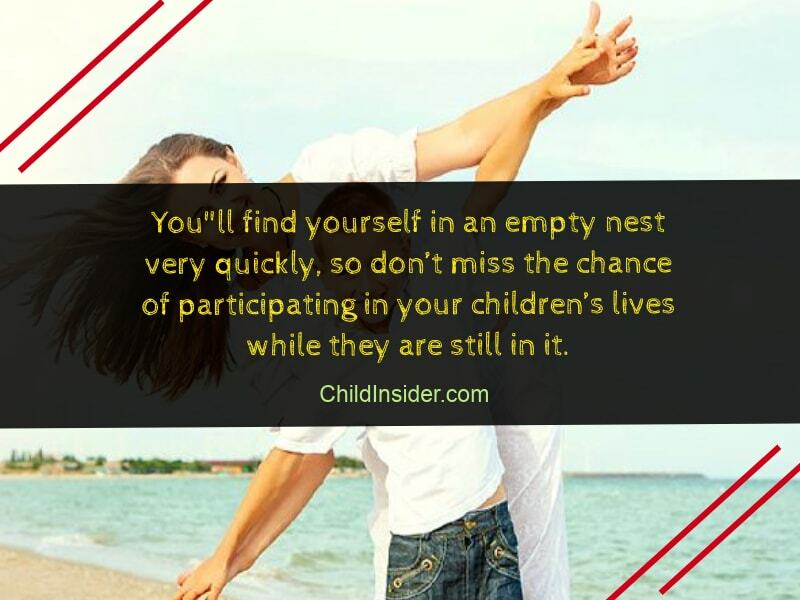 You’ll find yourself in an empty nest very quickly, so don’t miss the chance of participating in your children’s lives while they are still in it. 18. 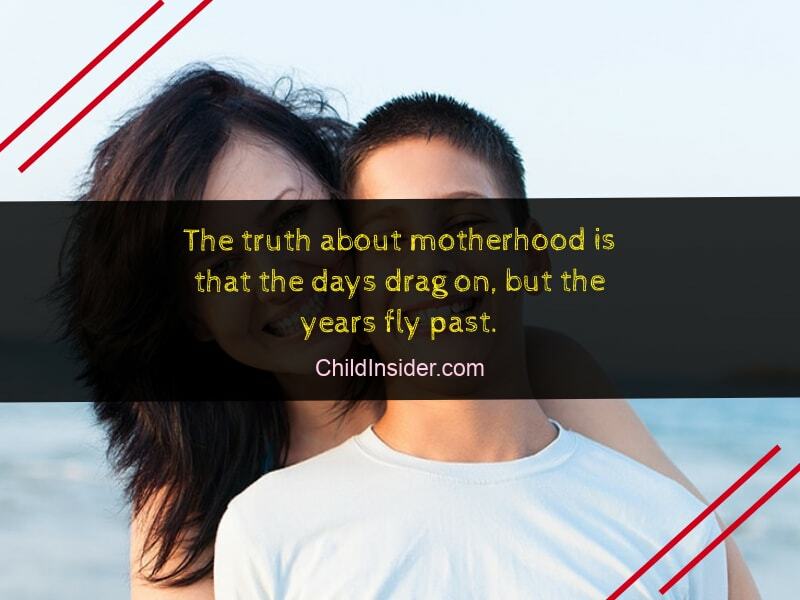 The truth about motherhood is that the days drag on, but the years fly past. 19. There are only 940 Saturdays between a child’s birth and her college graduation. 20. Your children might outgrow the space on your lap, but they will never outgrow the space that they have claimed in your heart. 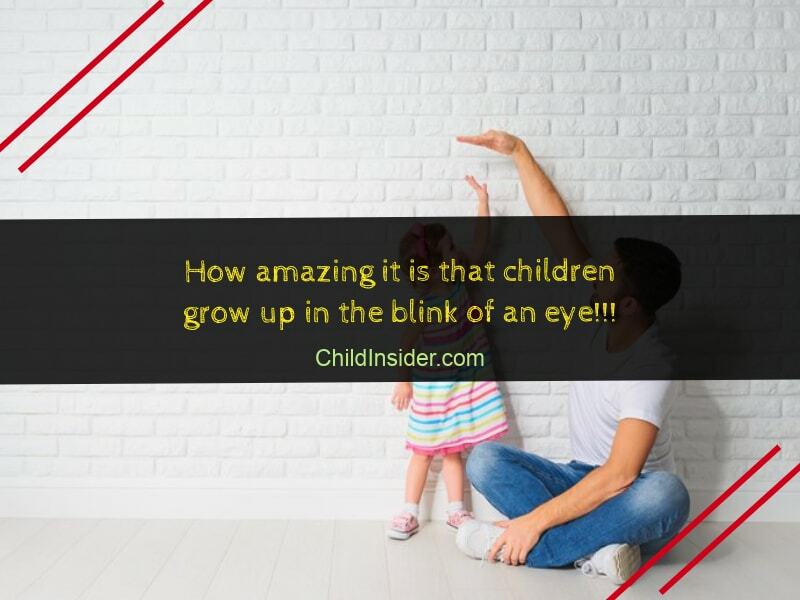 Indeed, seeing their children grow can be a unique experience for these parents, and these inspirational quotes about the kids growing up fast celebrate the entire experience unique to each family, full of emotions and celebrations. 21. 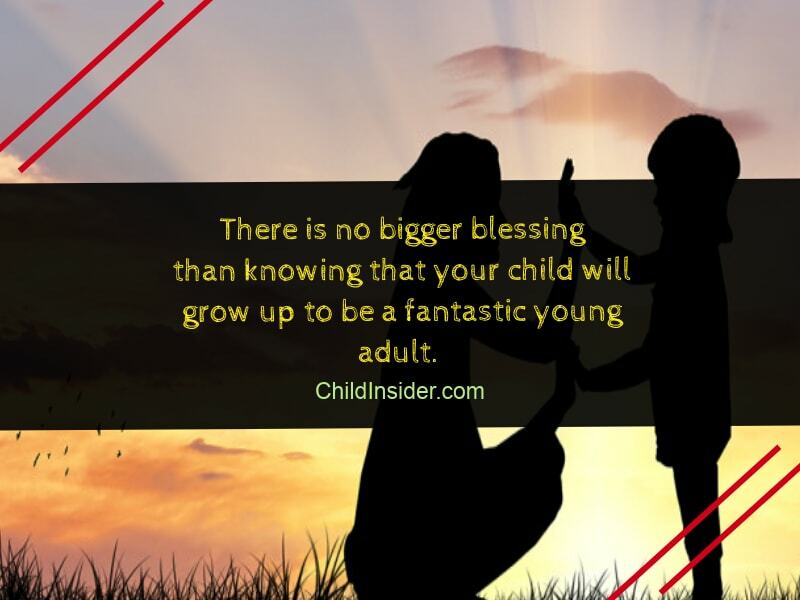 There is no bigger blessing than knowing that your child will grow up to be a fantastic young adult. 22. Never force your children to grow up faster than they should, as there is no greater privilege than being a child for as long as you can! 23. 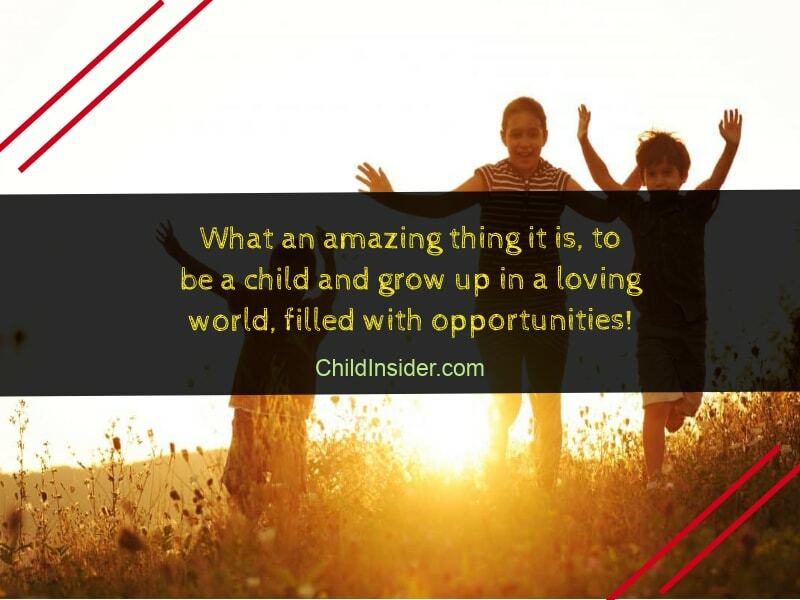 What an amazing thing it is, to be a child and grow up in a loving world, filled with opportunities! 24. Growing up is important, but what is also crucial is being a child growing into your own, unique self! 25. 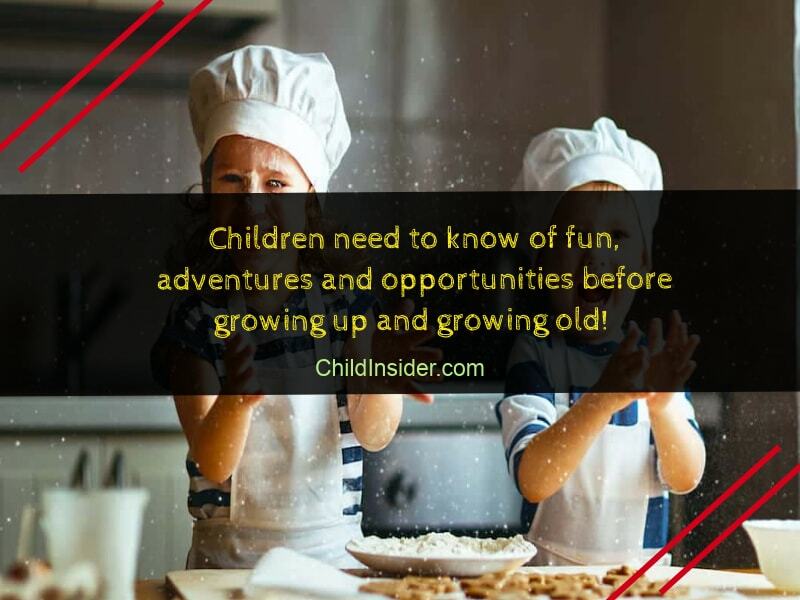 Children need to know of fun, adventures and opportunities before growing up and growing old! 26. Let boys be boys, and girls be girls. 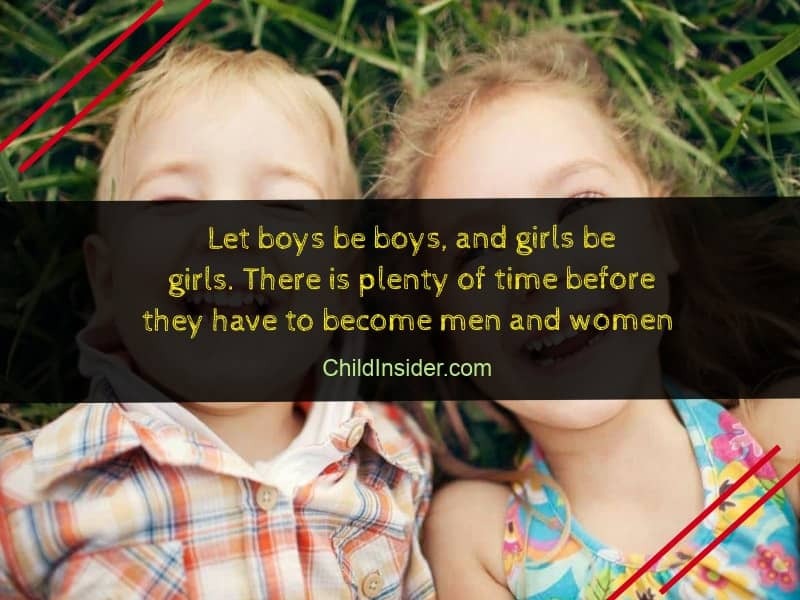 There is plenty of time before they have to become men and women. 27. 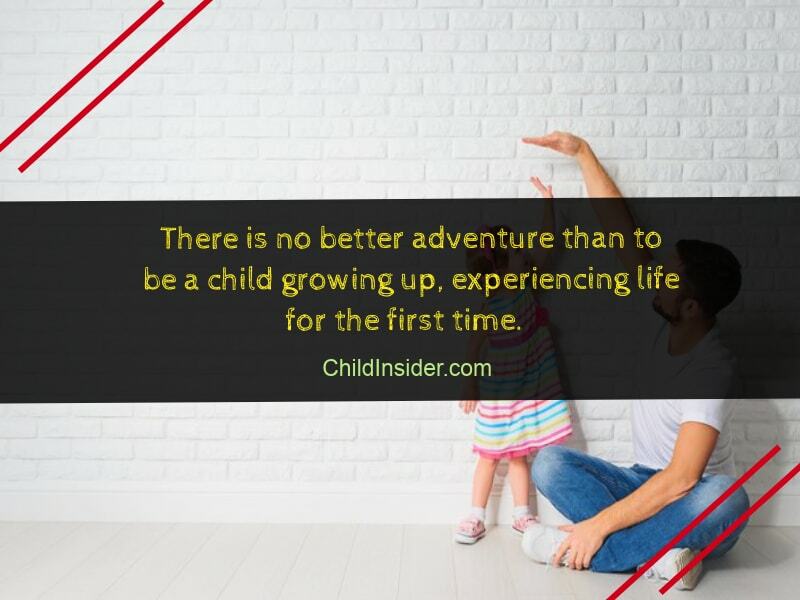 There is no better adventure than to be a child growing up, experiencing life for the first time. 28. Children who look forward to growing up, don’t realize they are giving up the rare gift of being young and free. 29. 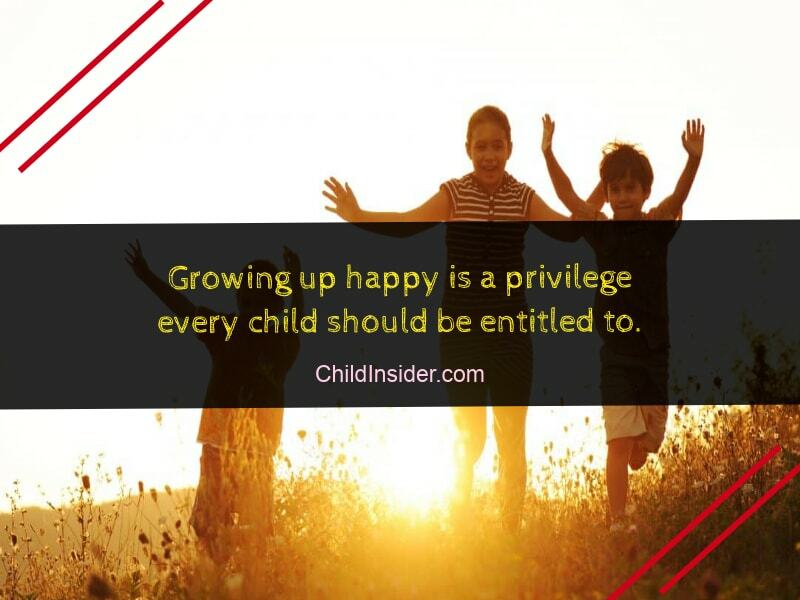 Growing up happy is a privilege every child should be entitled to. 30. There is no greater satisfaction than letting a child grow up slowly and steadily, delaying adulthood for as long as possible. 31. It is wise and smart to allow children to grow old, but teach them to never grow up. 32. A kid will grow up stronger, more confident and happier when it is raised by loving and caring parents. 33. Boys will become men and girls will become women, and it’s our job as adults to slow that process down as much as possible. 34. There are thoughts and dreams that only children share, so it’s important to nurture these before letting them finally grow up. 35. Make sure your kids enjoy the best childhood ever, not worrying about having to grow up too soon! 36. Nothing in this world will ever be as care-free and as majestic as childhood, so why rush into growing up too fast? 37. There is nothing more soothing than knowing you are a child with all the time in the world to grow up! 38. Adulthood will happen whether we like it or not, therefore never rush your child to grow up ahead of time. 39. 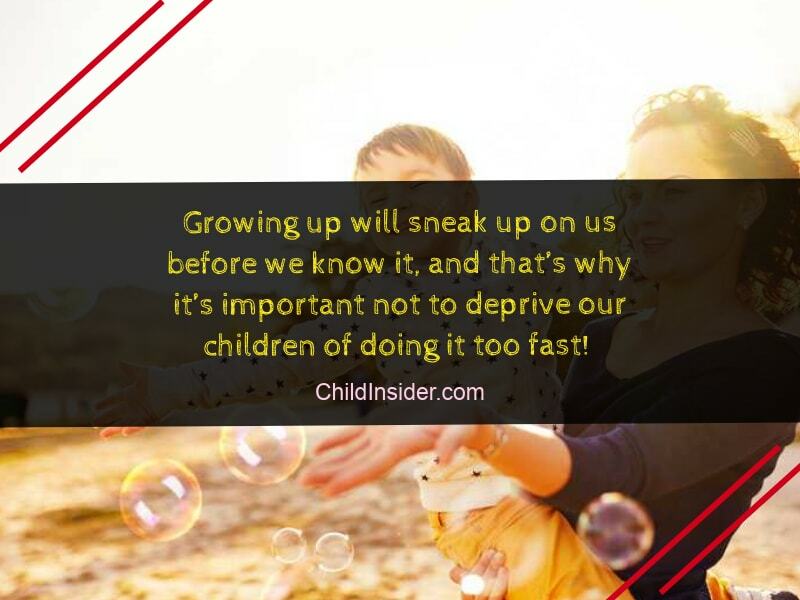 Growing up will sneak up on us before we know it, and that’s why it’s important not to deprive our children of doing it too fast! 40. 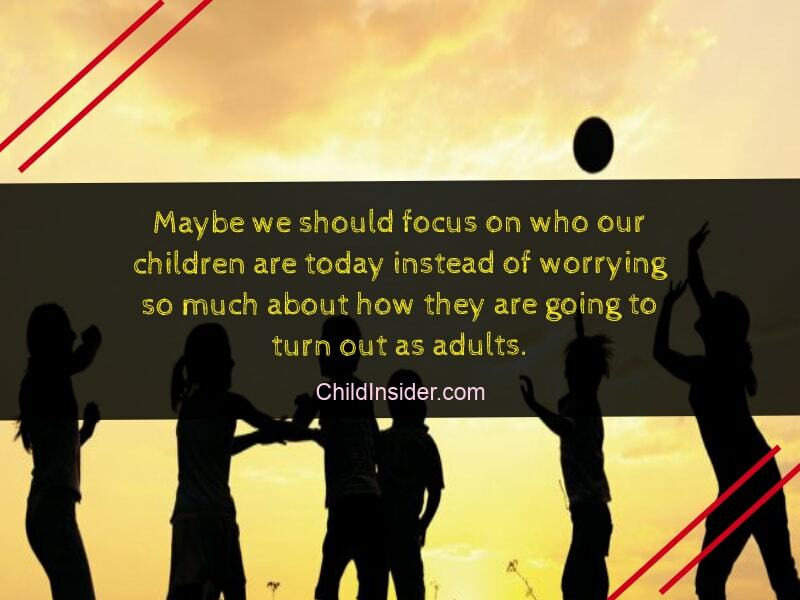 Just because we grew up too fast, doesn’t mean that our children also need to! Do you feel nostalgic for your own childhood or watching another child grow up? We certainly did, while writing these quotes about kids growing up! If you found any quotes that you can relate to much more than the others, feel free to share them with your friends and family!